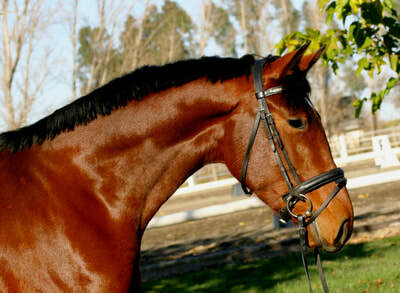 Fantasia is a California bred youngster showing great promise in her daily training. She is has been started and is proving to be willing and loves to work! In her first ride out of the lunging arena she walked around the property very relaxed and is steady in the bridle and respectful of her rider. Fantasia is a prospect for dressage as well as three day eventing as she has been smart and careful while learning to free jump. Her Thoroughbred lines give her a more refined build and sensitive, yet willing attitude. Fantasia is by Fürstenreich, whose first crop of foals amazed. 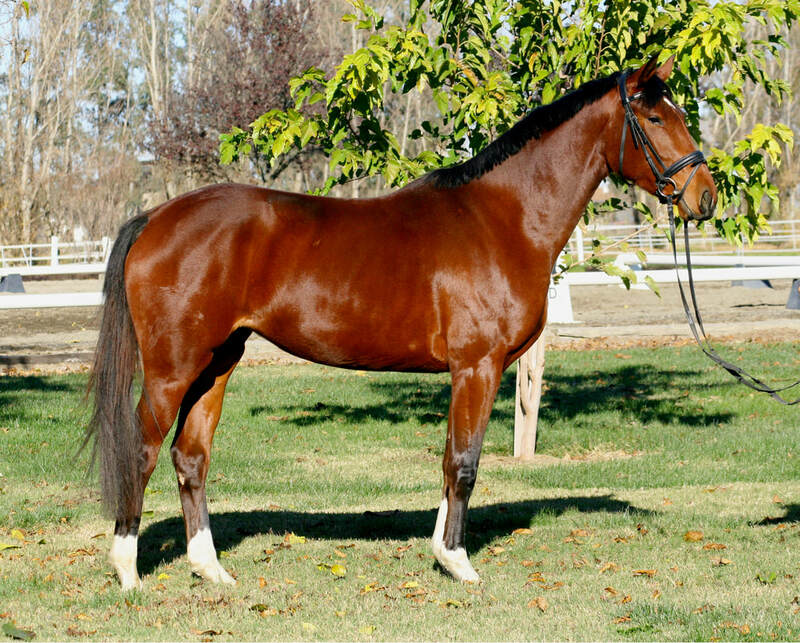 He is the sire of several Champion Foals at regional and provincial breed shows and championships. They all dazzled with their outstanding type and excellent movements. On several occasions, his offspring where sold at foal auctions in North Germany, achieving top knock down prices. A Fürstenreich filly became British National Champion in the 3-year old mare division. 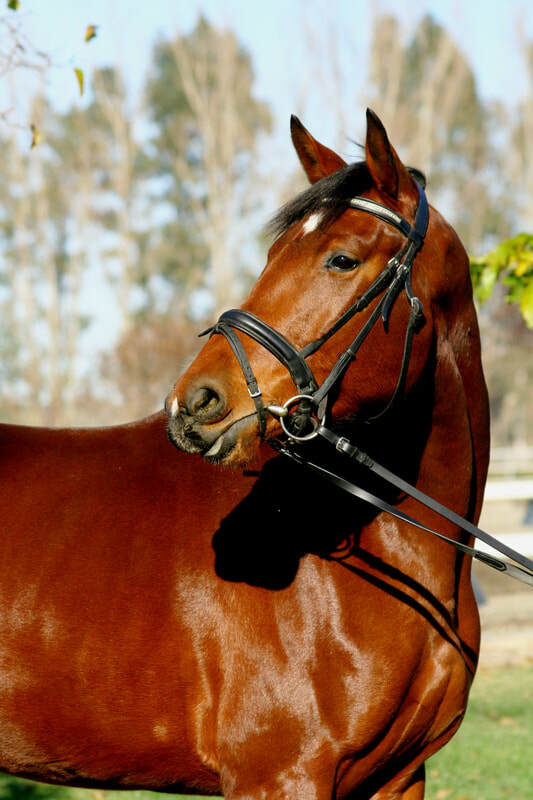 Fantasia was a foal of distinction at her inspection and is sure to impress in the show ring!